Will SLMC leave the government? The Sri Lanka Muslim Congress (SLMC) on Friday denied reports of internal party rifts, but said members have called on the party high command to take a firm stand on the recent spate of anti-Muslim campaign and push the government to address the issue. SLMC General Secretary Hassan Ali said members have called the high command to advance their next meeting which is scheduled to be held on April 27, before the Sinhala and Tamil New Year. Reports which surfaced in the media following the meeting alleged that there was friction among members since some were absent from the meeting whilst others were not content with the decision reached. He cited that although the SLMC is part of the government, it can and will come to an independent decision. “The fact that the government has not even condemned Bodu Bala Sena as a religious extremist outfit is still a bone of contention among Muslims,” he said. “Only when the draft proposal is put forth, all members would be able to come back to negotiations, we however feel that it has taken longer than necessary.” The SLMC high command which was held last Saturday said that the future of the SLMC in the government was at risk since it had failed to take appropriate action with regards to the threats faced by the Muslims in recent times. SLMC high command was of the opinion the government had not directly responded to the threats faced by the Muslims in the country. 4 Responses to Will SLMC leave the government? The SLMC will never ever leave the Government ranks. 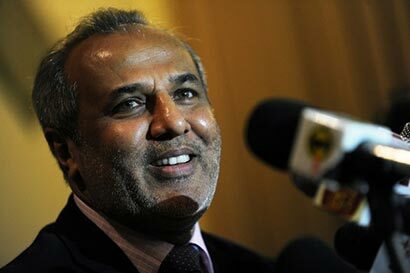 Life is too sweet for the SLMC leaders who are in important government portfolios. It is the common muslim men and women who are at the mercy of BBs/RB thugs. Whenever a change occurs in the polical equation, the SLMC will bravely shift to the winning side. The SLMC had a golden opportunity to demonstrate the love for our country in the Eastern Provincial Council by acce[ting the Chief Minister’s position with the support of the Tamil National Alliance. Instead, they opted to support the UPFA. I reiterate, the SLMC will never ever leave the UPFA Government as life in there is too cosy, warm and lucrative. It is understandable that Mr. Hakeem being pressured being a representative of an ethnic party, when open confrontations & irresponsible statement are made due to short sightedness (if not incitement by some who are eagerly waiting to create an ethnic rift for ulterior motives). But a veteran Politian like Mr. Hakeem should lead his people having confidence of MR’s policy towards all ethnicities &religions as he has proven via actions thus far. It is noteworthy to remember ourselves the effort MR regime is making to rebuild the nation without diluting the ethnic and religious identities and values. For the first time in SL the call for prayers is been broadcasted even not done in some of Islamic countries. The first CM is instated after boldly de-merging North & East (merged only to create Elam). No one should cry for pound of flesh (as simply condemning an organization will not be a solution but could be quite detrimental on the other hand) especially in a democratic society. A Government that has solved a 30year long problem would certainly solve issues (domestic) if only adequate time is provided. What our Muslim brothers should do is to watch in confidence and without playing to the (blood /power thirsty) crooks who are in the background orchestrating a master piece to create havoc in a nicely settling country.